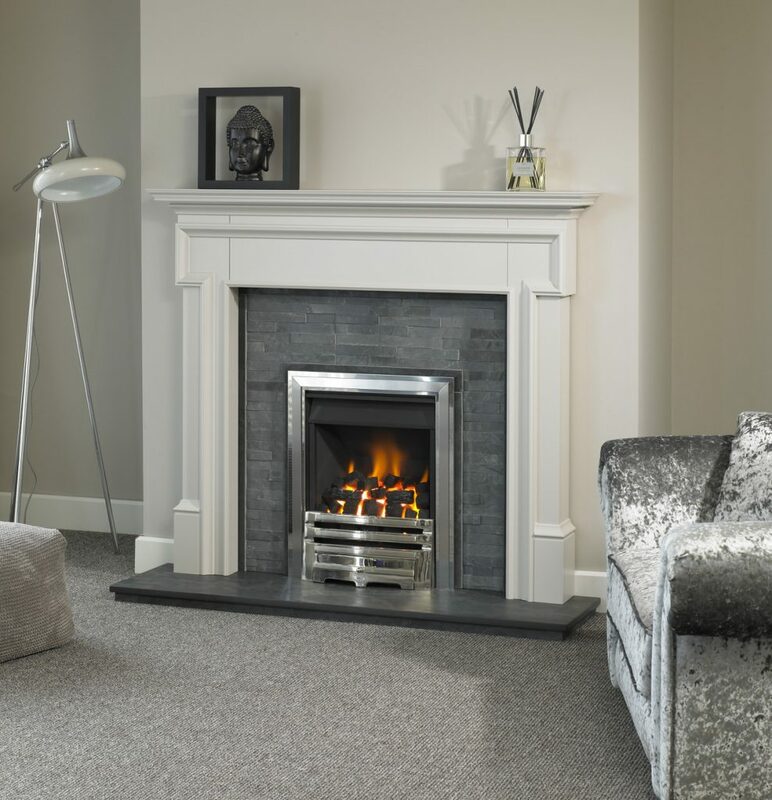 The Benidorm Surround is shown here in a White finish with the Grey Split Slate Back panel and matching Slate Hearth. 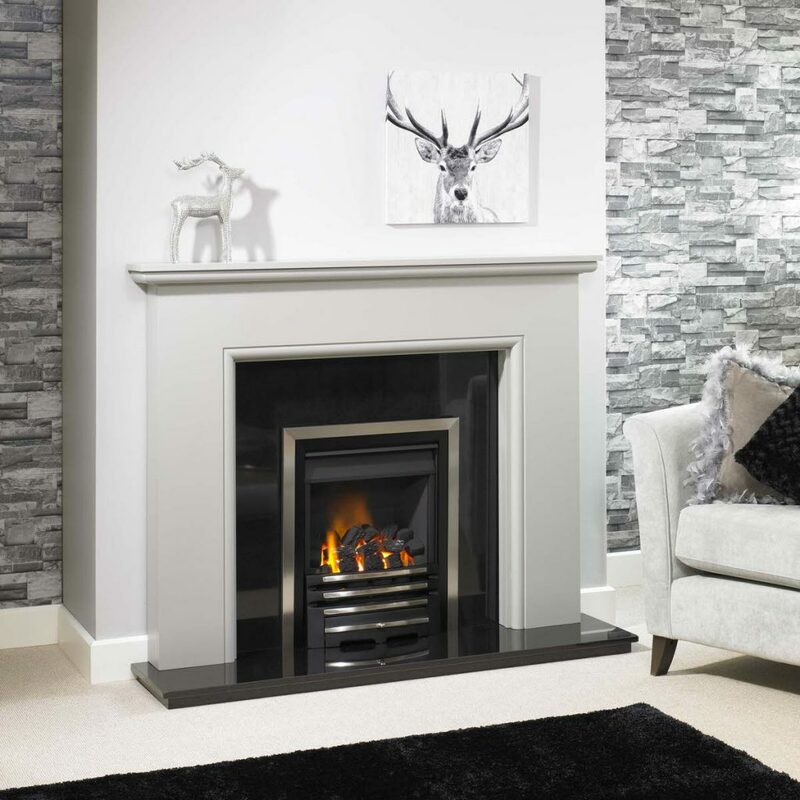 Shown with the Trent XHE Gas Fire with Black Base Trim, Brushed Steel Outer Trim and Polished Elan Fire Front. 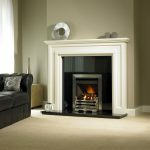 All Trent fireplaces can be hand made to fit any size, just ask about our fitting service. 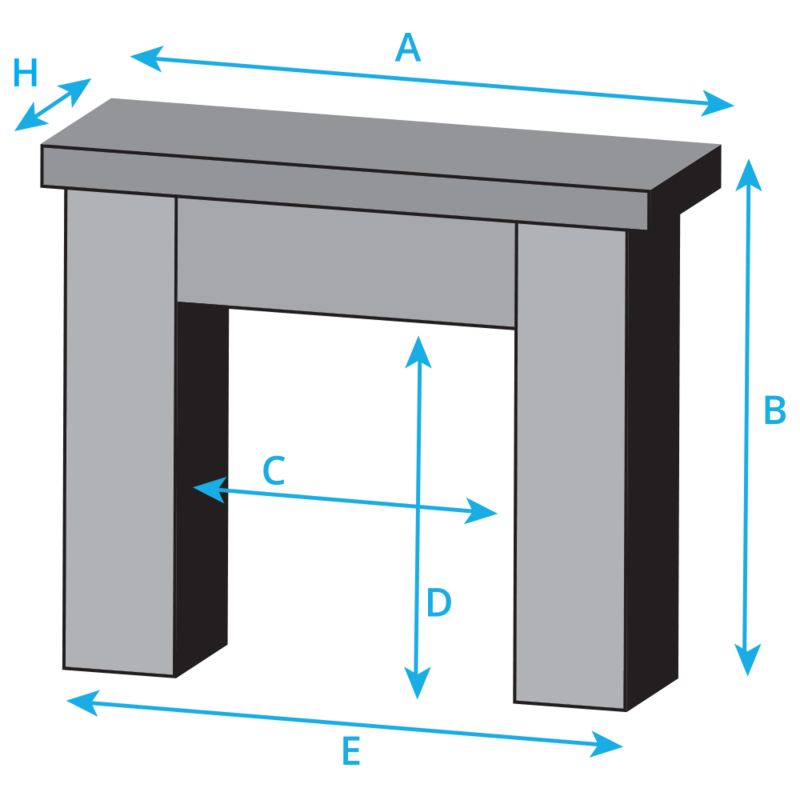 Rebate measurement refers to the gap left on the inside of the fireplace surround where the marble may be fitted. 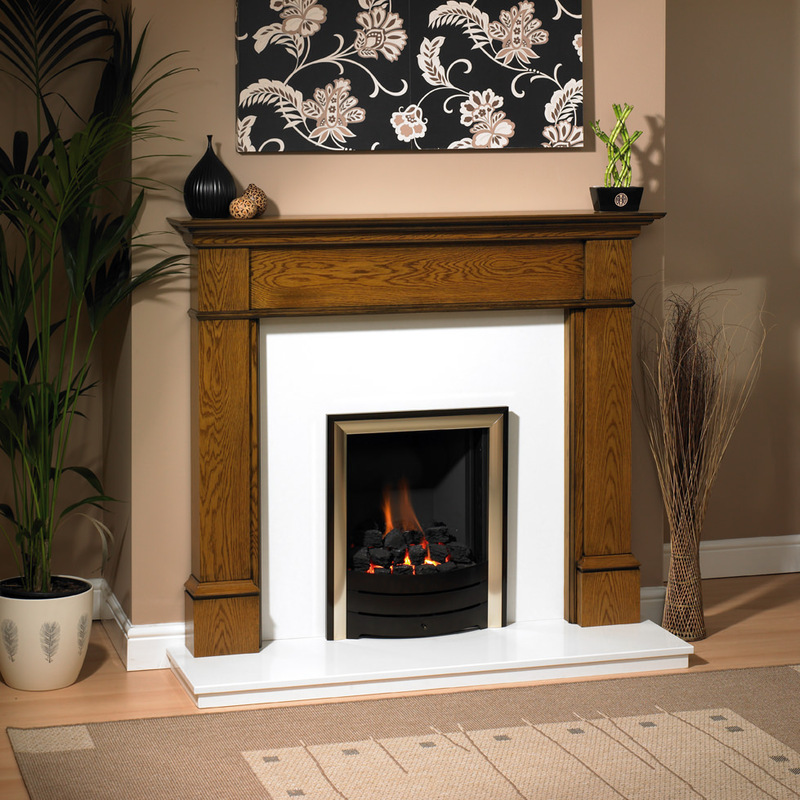 All our fireplaces have an adjustable rebate as standard. 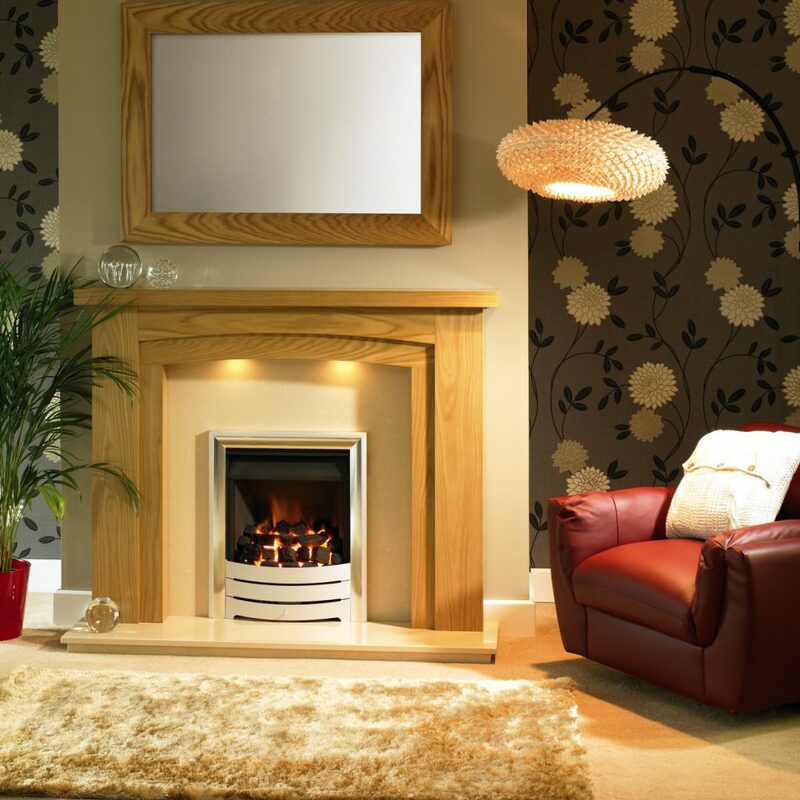 The Benidorm Arch Surround and matching mirror are shown in the Natural Oak Finish. 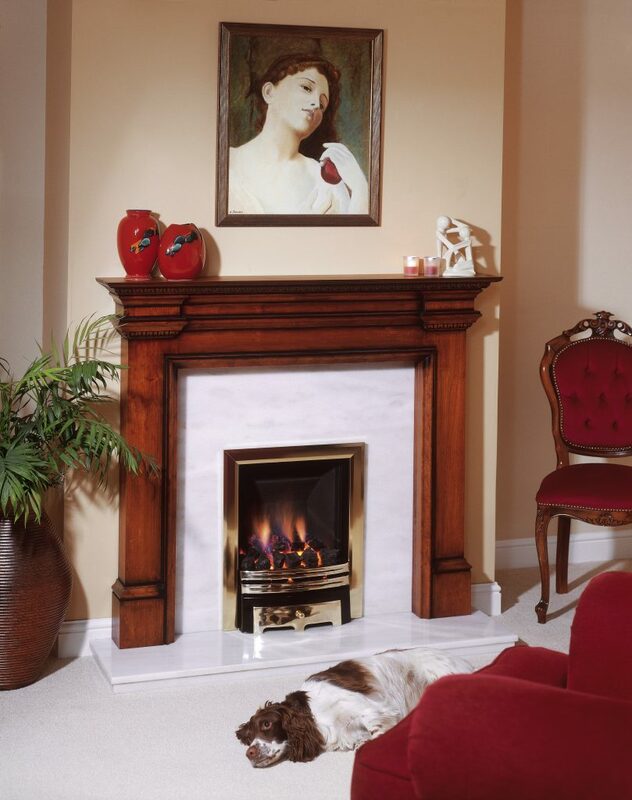 Photographed with the Bianca Beige Marble Back Panel and Boxed Lipped Hearth. 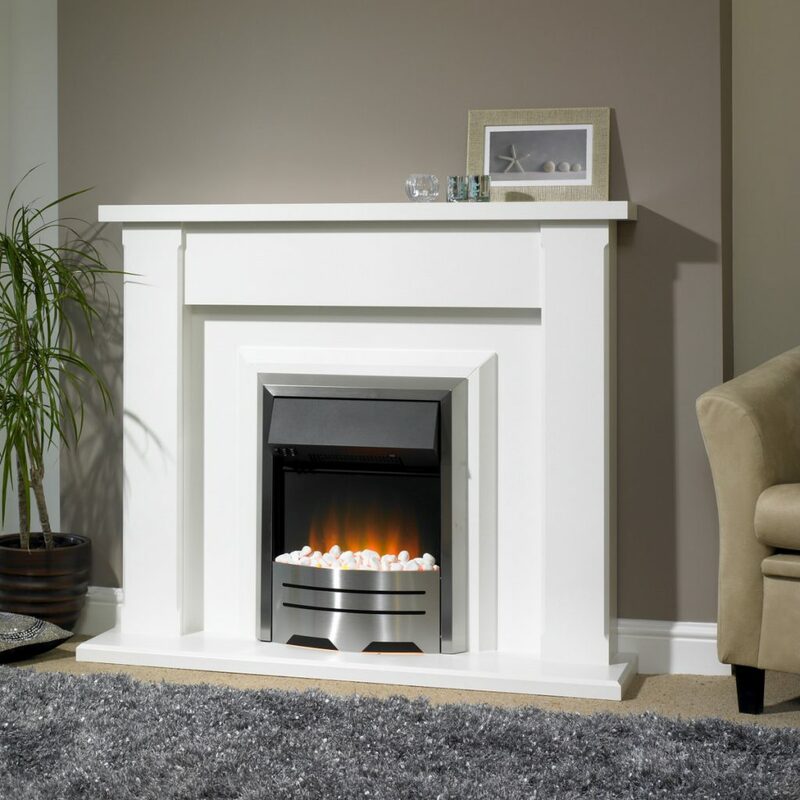 Also shown is the Trent HiLine HE Gas Fire with the Satin/Steel Profile Trim. 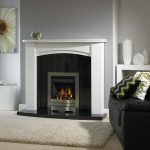 The Pemdean Surround is shown here in White. 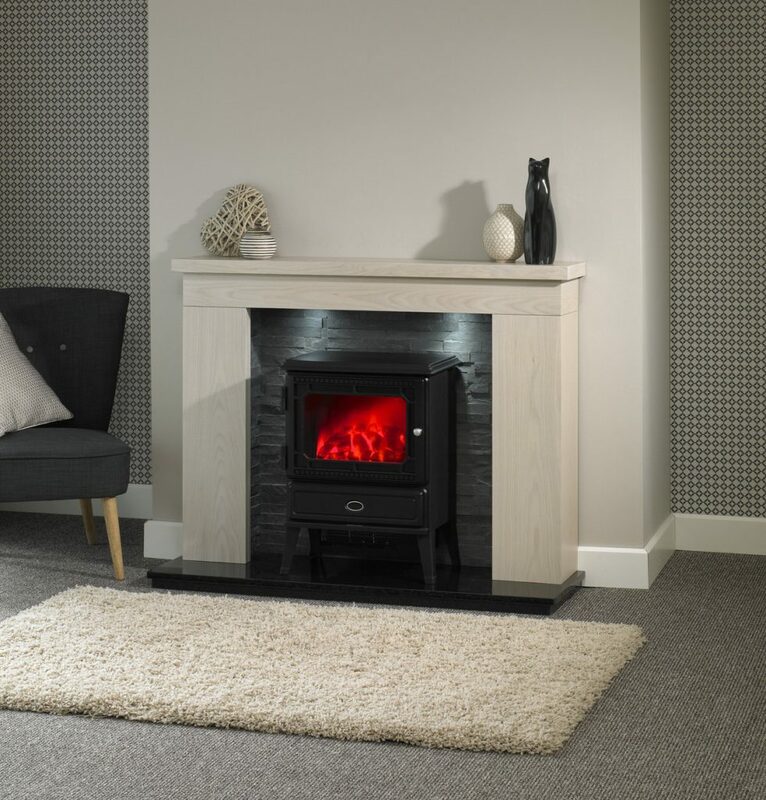 Shown with a Black Granite Back Panel and Boxed Lipped Hearth and the Trent HiLine HE Gas Fire with Brushed Steel Base Trim, Polished Outer Trim and Satin/Steel Two Tone Fire Front. 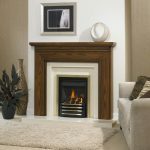 The Canti Fire Surround is shown in Solid Natural Oak, shown with Bianca Beige Marble Back Panel and Boxed Flush Hearth. The Gas Fire is the Trent HiLine HE with Brushed Steel Base Trim, Black Outer Trim and Black/Brushed Elan Fire Front. 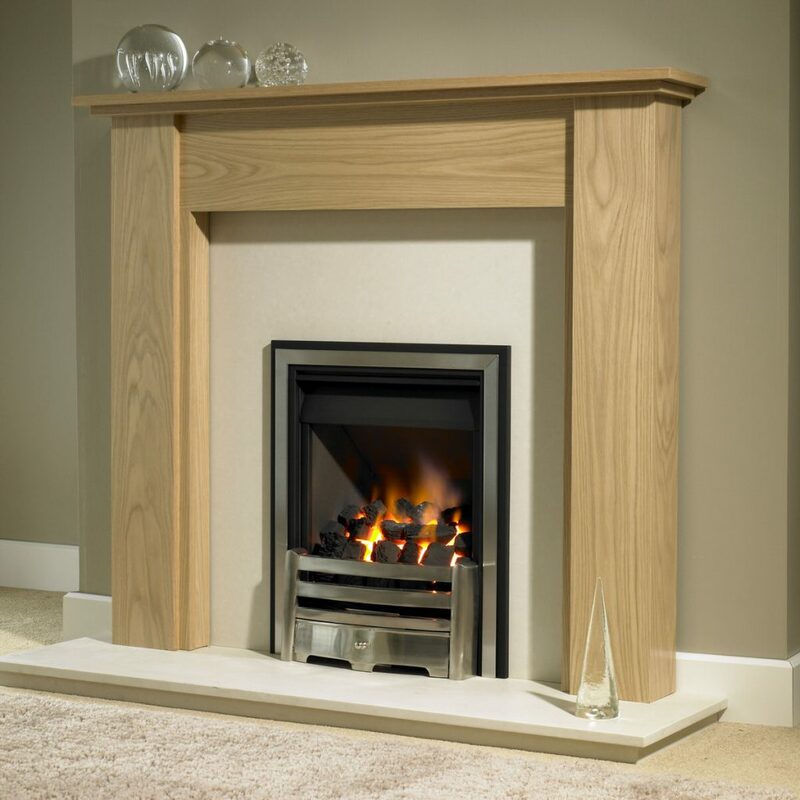 The Howden shown in the Natural Oak Finish with Bianca Beige Back Panel and Boxed Flush Hearth with the Trent HiLine HE Gas Fire with Brushed Steel Contemporary Trim. 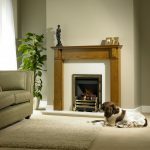 The Livy Fire Surround is shown in Natural Oak finish. 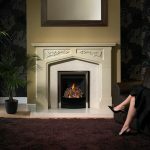 The swooping arch of the fire surround has been mirrored in the specially designed Livy Marble Back Panel and matching Hearth. Also shown is the Trent HiLine HE Gas Fire with a Black Base Trim, Brass Outer Trim and Black/Brass Elan Fire front. 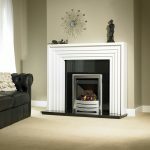 The Boxbridge Surround has been finished in Silkstone White and is shown with a Black Granite Back Panel and Boxed Lipped Hearth with the Trent HiLine HE Gas Fire with Satin/Steel Profile Trim. 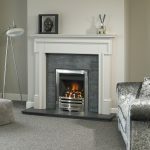 The Mayfair is shown here finished in a soft Magnolia shade with a Black Granite Back Panel and Boxed Lipped Hearth and the Trent HiLine HE Gas Fire with Brushed Steel Base Trim and Brushed Daisy Fire Front. 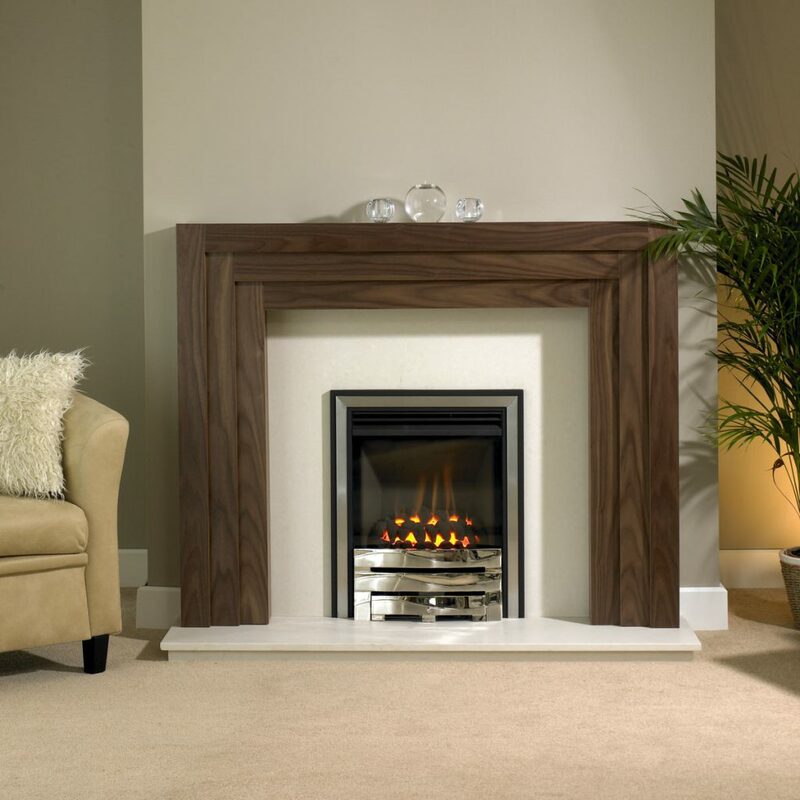 The Linear is shown in the American Walnut Finish with Bianca Beige Back Panel and Boxed Lipped Hearth. 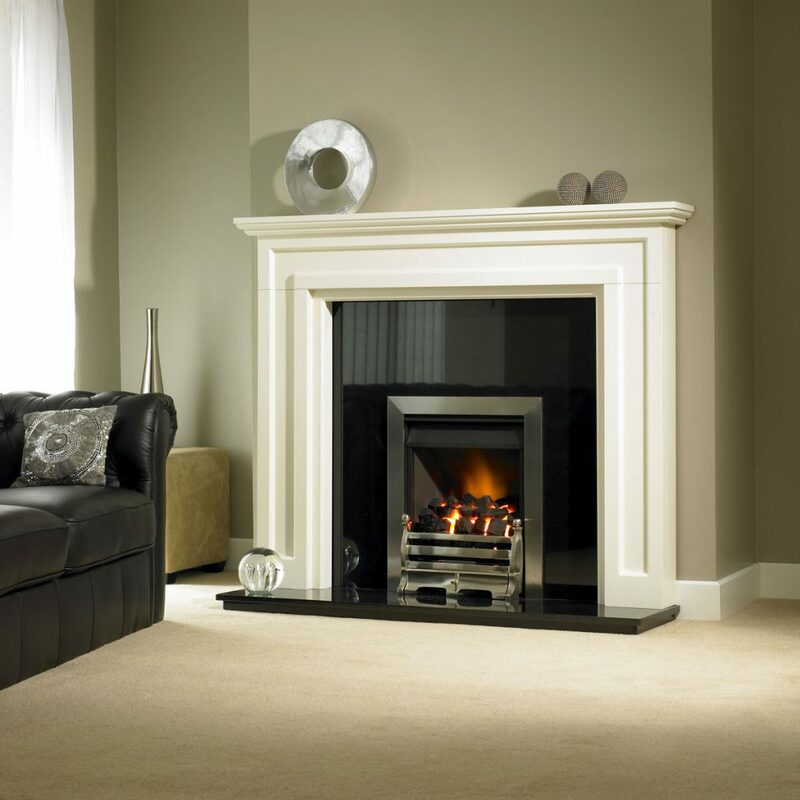 The Gas Fire is the Trent HiLine XHE with Black Base Tim, Brushed Duo Trim and Satin/Steel Two Tone Fire Front. 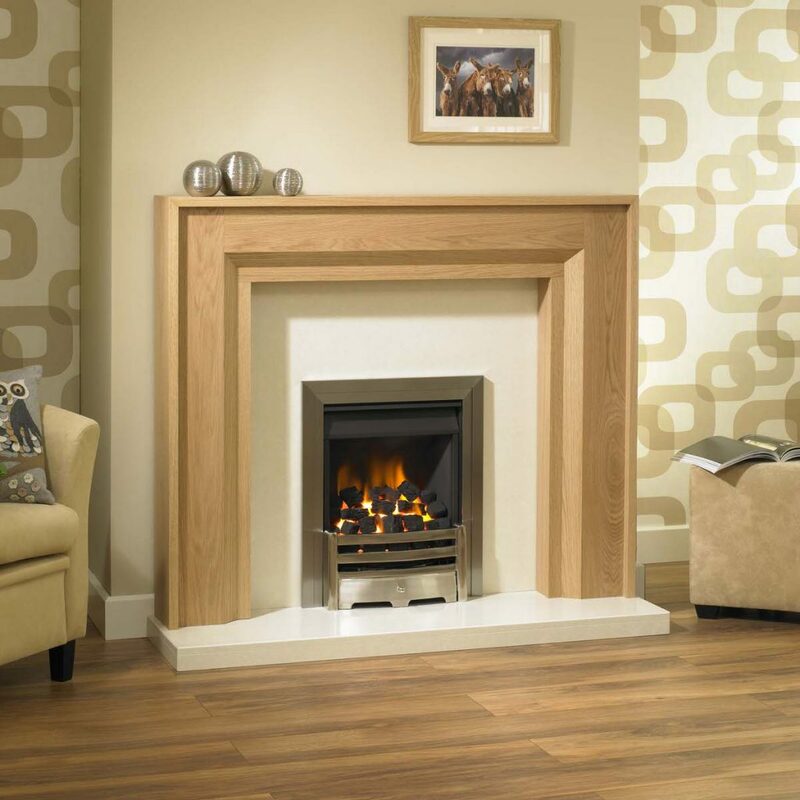 The Newland Fire Surround shown in the Clear Oak Finish with an American Walnut Inlay. 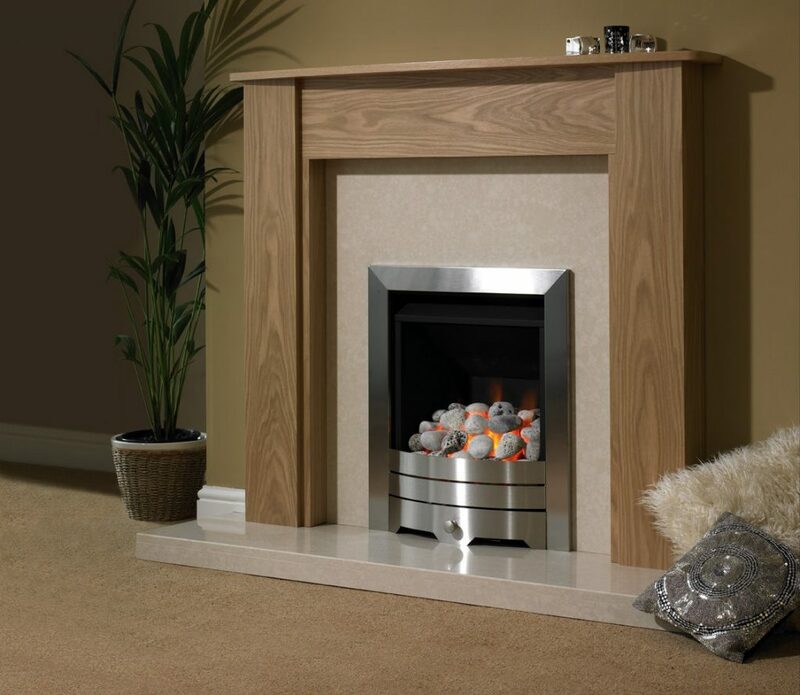 Also shown is the Trent HiLine HE Gas Fire with Brushed Steel Contemporary Trim. The Farnboro is shown in Solid Light Oak with the Trent HiLine HE Gas Fire with Brass Base Trim, Black Duo Trim and Antique Daisy Fire Front with Bianca Beige back panel and boxed flush hearth. 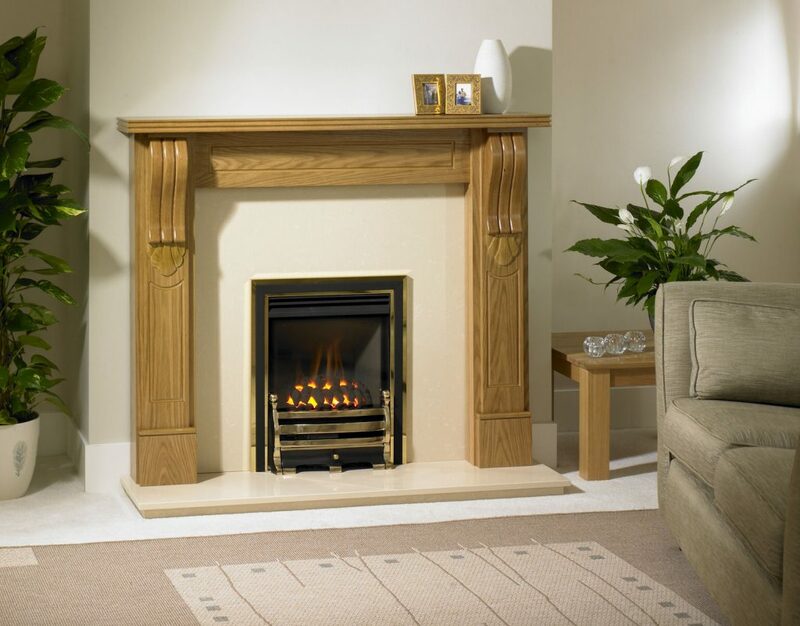 The Carlisle is shown finished in Washed Oak. 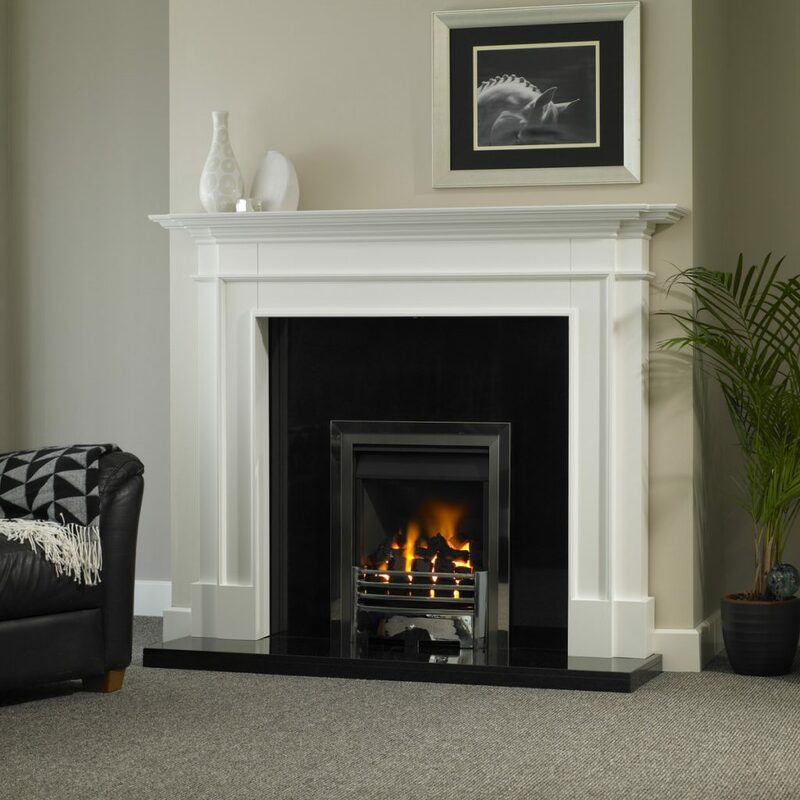 Photographed with a Black Granite Back Panel and Boxed Lipped Hearth and the Trent HiLine HE Gas Fire with Brushed Steel Base Trim Black Duo Trim and Satin Grace Fire Front. The Calais is shown as a 'colour matched' fire surround in a shade called Celadon. 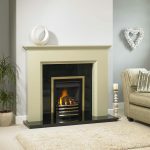 It is shown with a Black Granite Back and Boxed Lipped Hearth and the Trent HiLine HE Gas Fire with Black Base Trim, Brass Outer Trim and Black/Brushed Brass Elan Fire Front. 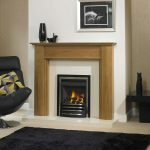 Photographed in a Clear Oak finish with Silkstone White Back Panel & Hearth. 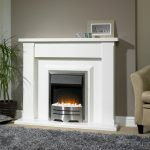 Suitable for electric fires only. The fire shown is the Optimist. The Aveda is especially designed to fit deep electric fires. 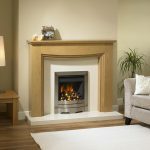 The Bamford Surround is shown in a Clear Oak Finish with Bianca Beige Back Panel and Boxed Lipped Hearth. 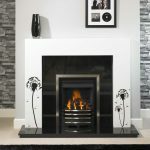 The Fire is the Trent HiLine HE with Polished Steel Base Tim and Black/Polished Daisy Fire Front. 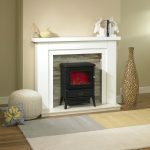 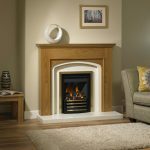 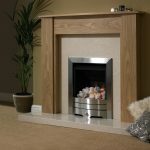 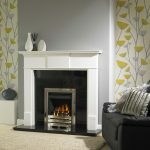 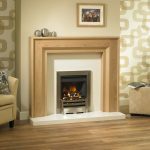 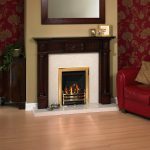 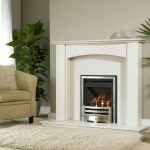 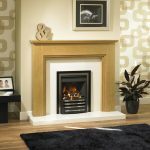 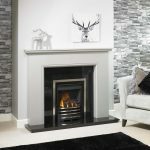 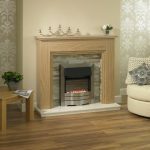 The Benidorm Electric Suite is shown in White with the Oyster Split Slate Chamber and Bianca Beige Boxed Lipped Hearth. 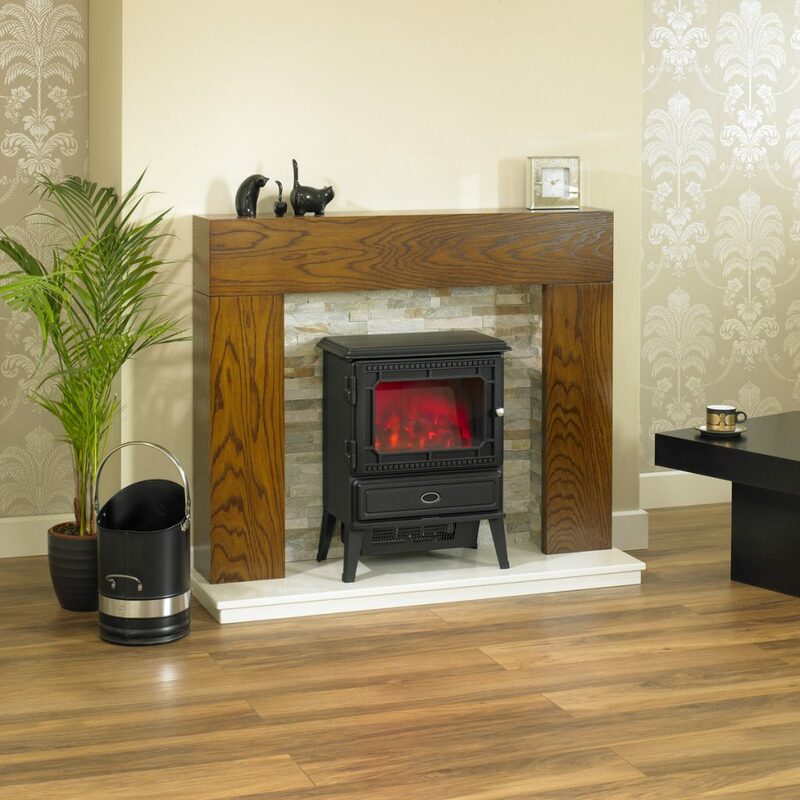 Also shown is the Glendale Electric Stove. 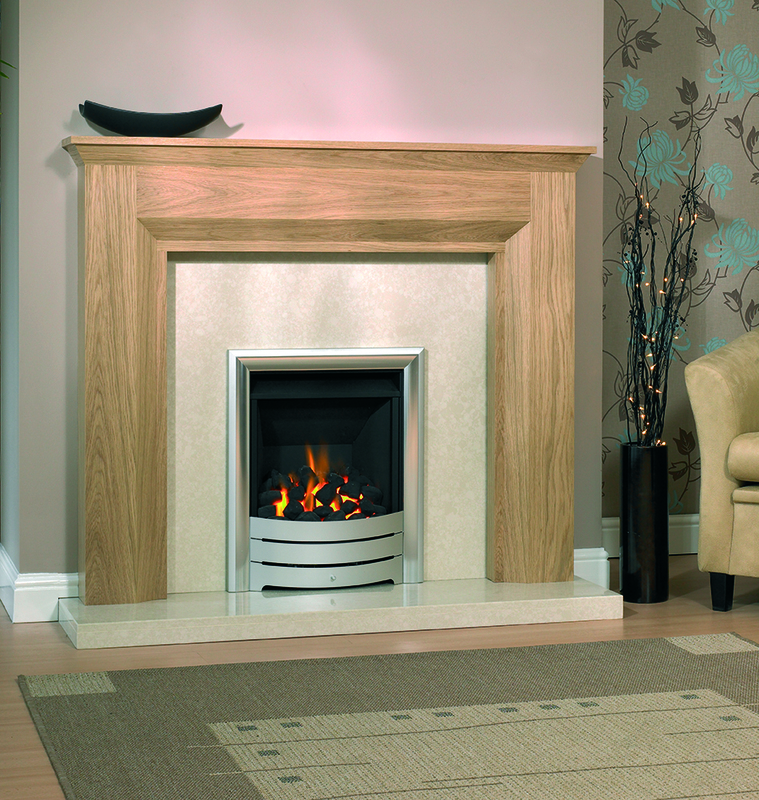 The Bosworth Electric Suite is shown in the Silkstone Creme Finish with matching Back & Double Step Hearth. 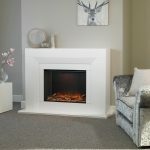 It is shown with the Evoke Dynamic Electric Fire. 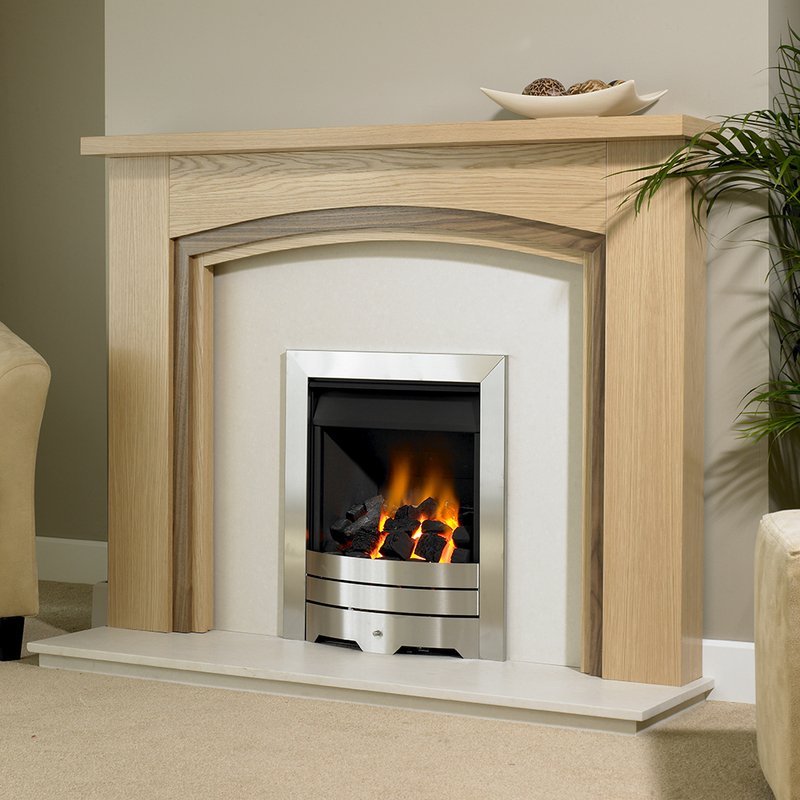 The Bowden is shown in the Clear Oak Finish with Bianca Beige Back Panel and Boxed Flush Hearth. 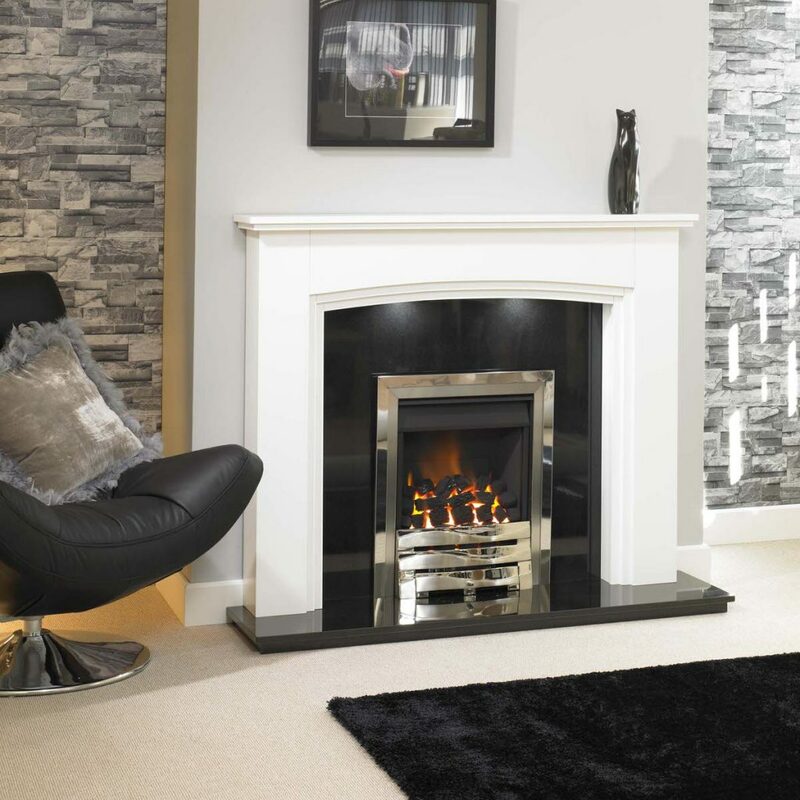 The Gas Fire is the Trent HiLine HE with Brushed Steel Contemporary Trim. 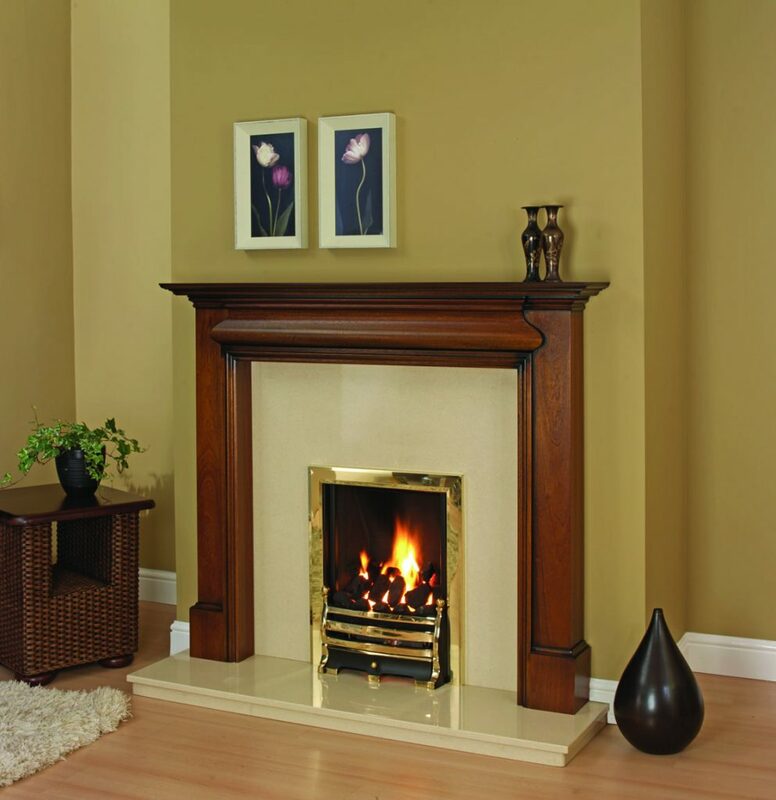 The Bradleigh Fire Surround is depicted in the Dark Mahogany Finish. Shown with the Bianca Beige Marble Back Panel and Boxed Lipped Hearth and the Trent HiLine HE Fire with Black Base Trim, Polished Duo Trim and Black/Polished Daisy Fire Front. 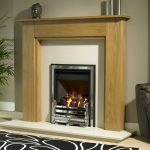 The Brookfield Surround is shown in Solid Natural Oak. 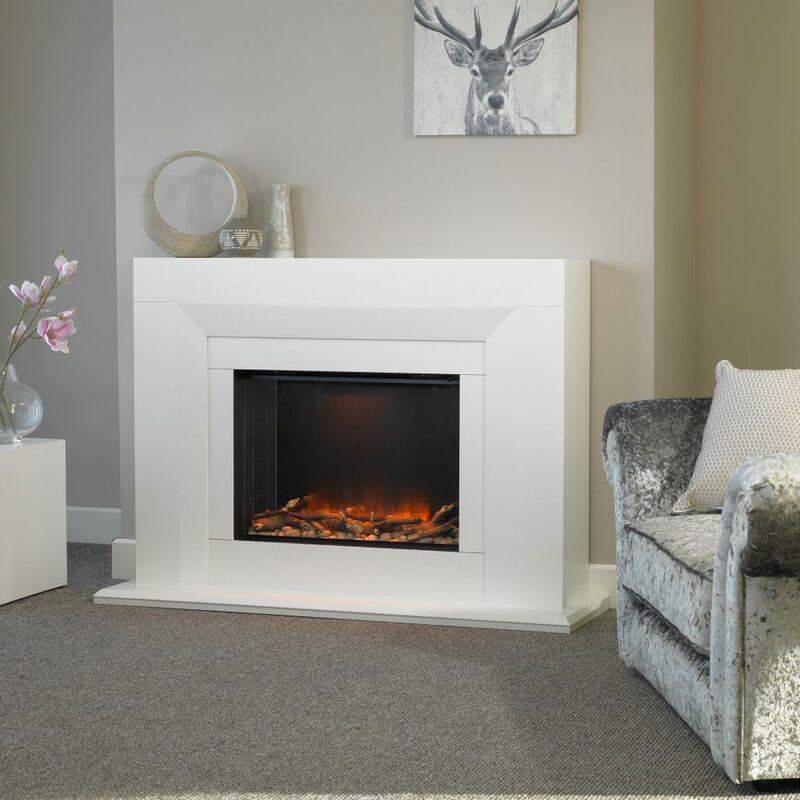 Shown with Bianca Beige Back Panel & Boxed Flush Hearth, the Trent HiLine HE Gas Fire with Brushed Base Trim, Polished Outer Trim and Satin/Steel Elan Fire front. 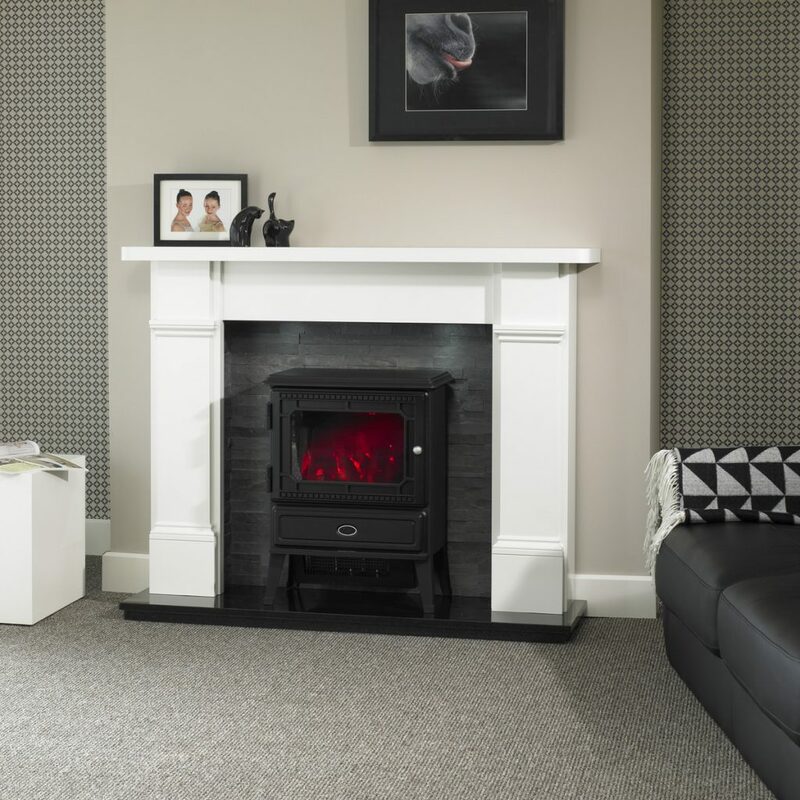 The Calgary Fire Surround is shown in White with Black Granite Back Panel and Boxed Lipped Hearth. 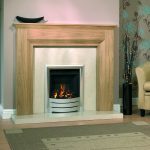 Also shown is the Trent HiLine HE Gas Fire with Brushed Steel Base Trim, Polished Outer Trim and Satin/Steel Two Tone Fire Front. 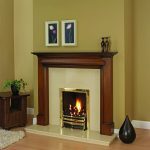 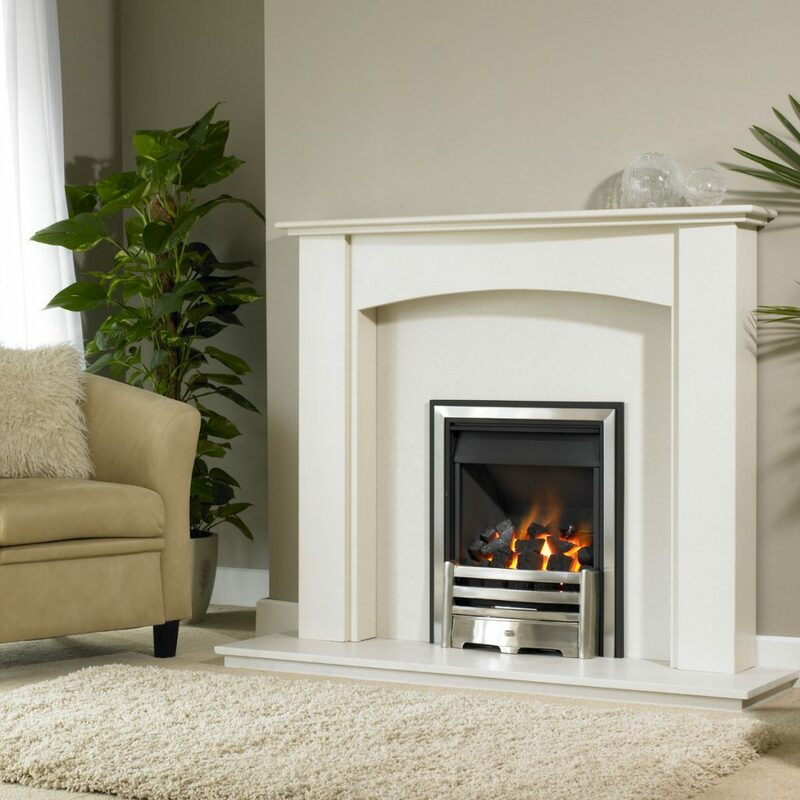 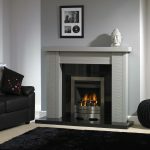 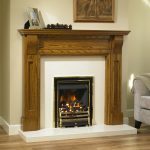 The Cascade Electric Suite is shown in Silkstone White with matching Back Panel and Hearth. 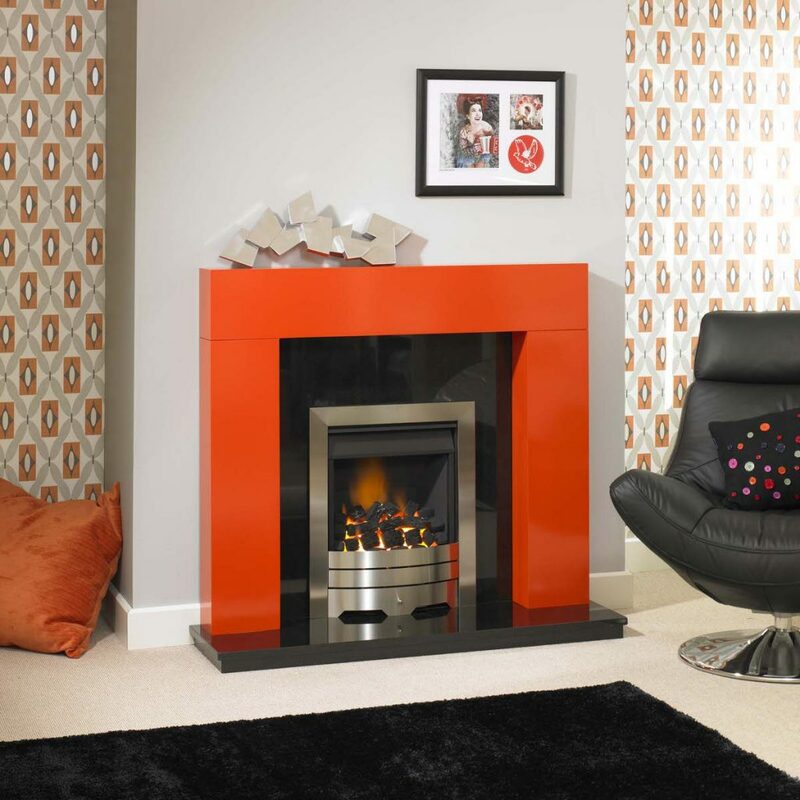 Also shown is the Dimplex Wesley Chrome Finish Electric Fire. 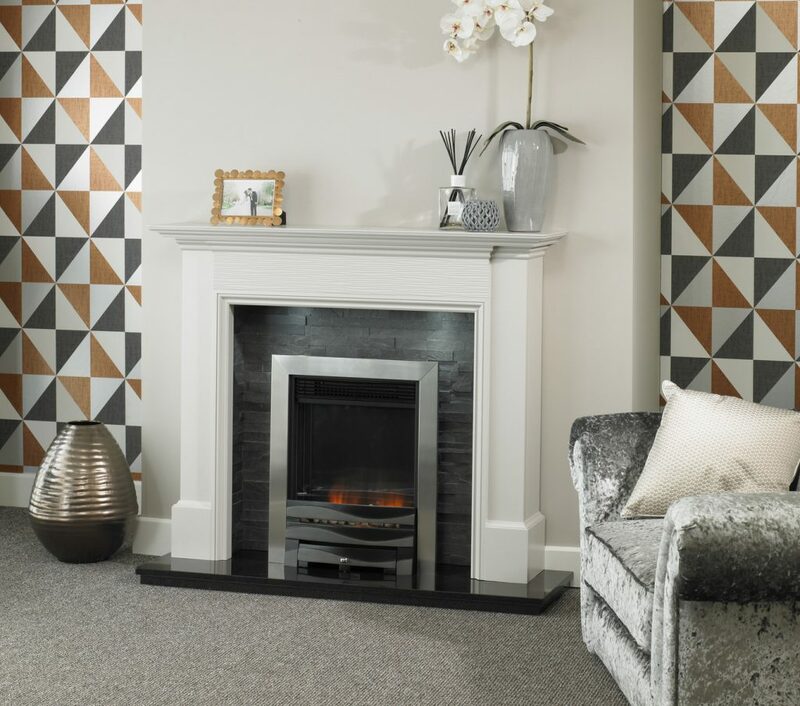 The Caspian is shown in a Mineral Grey Finish with Black Granite Back Panel and Boxed Flush Hearth with the Trent HiLine HE Gas Fire with Brushed Steel Contemporary Trim. 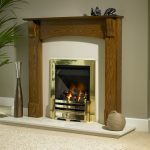 The Cavendish is shown in a Light Oak Patina. 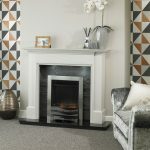 The Patina finish is applied to give the appearance of ageing and can be used on other colour finishes on request. Also shown is the Trent HiLine HE Gas Fire with Bronze Profile Trim set into the Polar White Back Panel and Boxed Lipped Hearth. 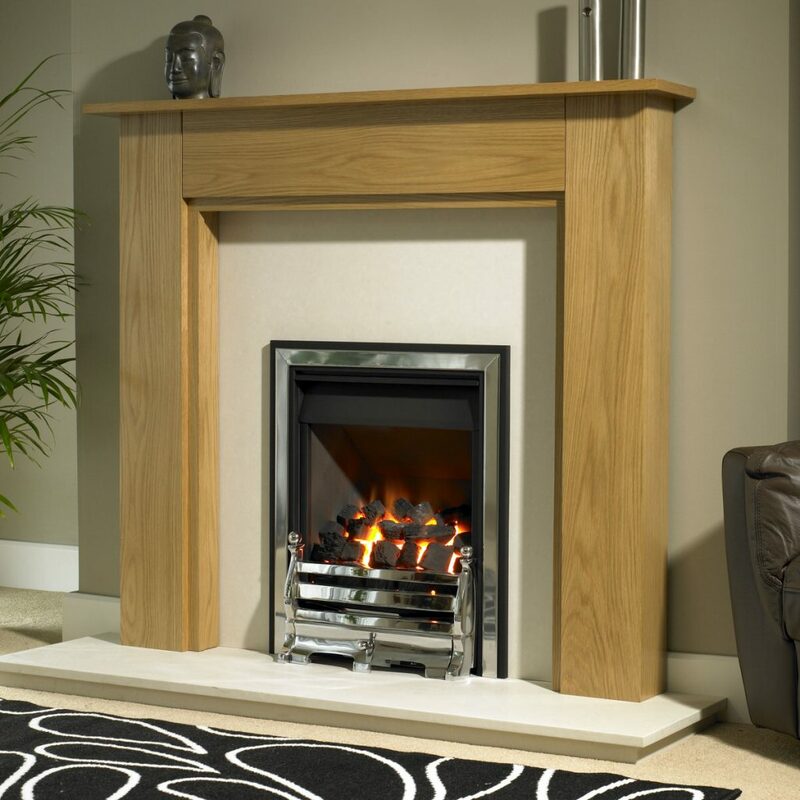 The Corsair is shown in the Clear Oak Finish. 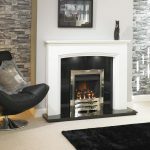 Also shown is the Trent HiLine HE Gas Fire with Black Base Trim, Brushed Steel Duo Trim and Satin Aviva Fire front. 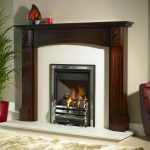 The Dorchester with matching mirror is shown in Dark Mahogany Shaded. 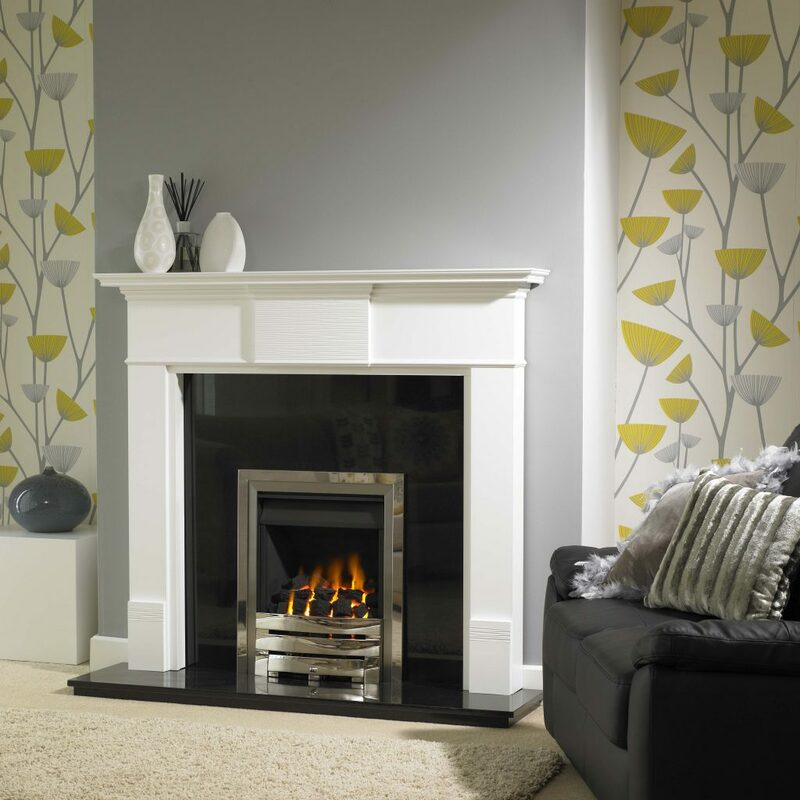 The shaded finish is added to give the appearance of ageing and can be applied to other colour finishes on request. 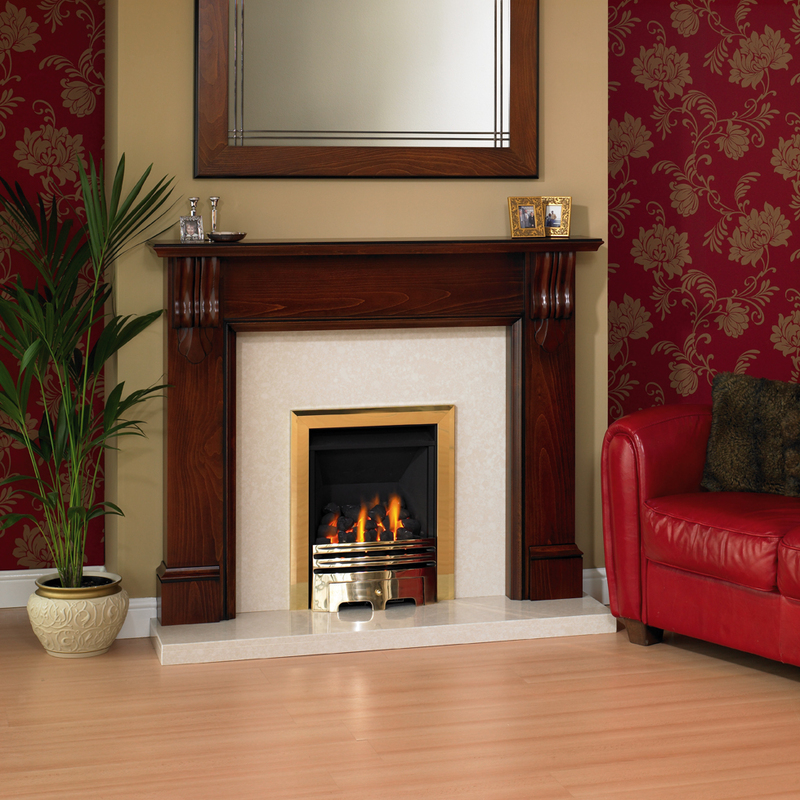 Shown with the Trent HiLine HE Gas Fire with Brass Base Trim and Antique Daisy Fire Front. 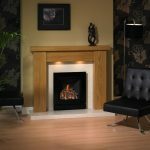 The Fernwood is shown in Natural Oak finish with the Trent Hi Line HE Gas Fire with Black Base Trim, Chrome Duo Trim and Chrome Daisy Fire Front. 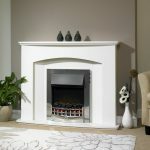 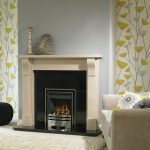 Also shown is the Bianca Beige marble back panel and boxed lip hearth. 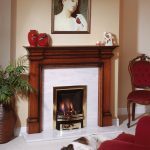 The Flat Victorian Fire Surround has been scaled down to make a beautiful Electric Suite. 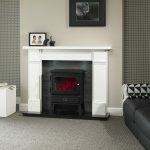 Finished in White with the Grey Split Slate Chamber, Black Granite Hearth and Glendale Electric Stove. The Guildford is shown finished in Silkstone Creme and can be manufactured with or without the Vine Leaf detailing. 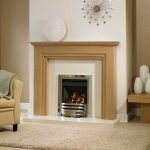 The Silkstone Creme finish matches beautifully with the Bianca Beige Back panel and hearth. Also shown is the Trent HiLine HE Gas Fire with a Driftwood Fuel Bed, Bronze Profile Fascia. 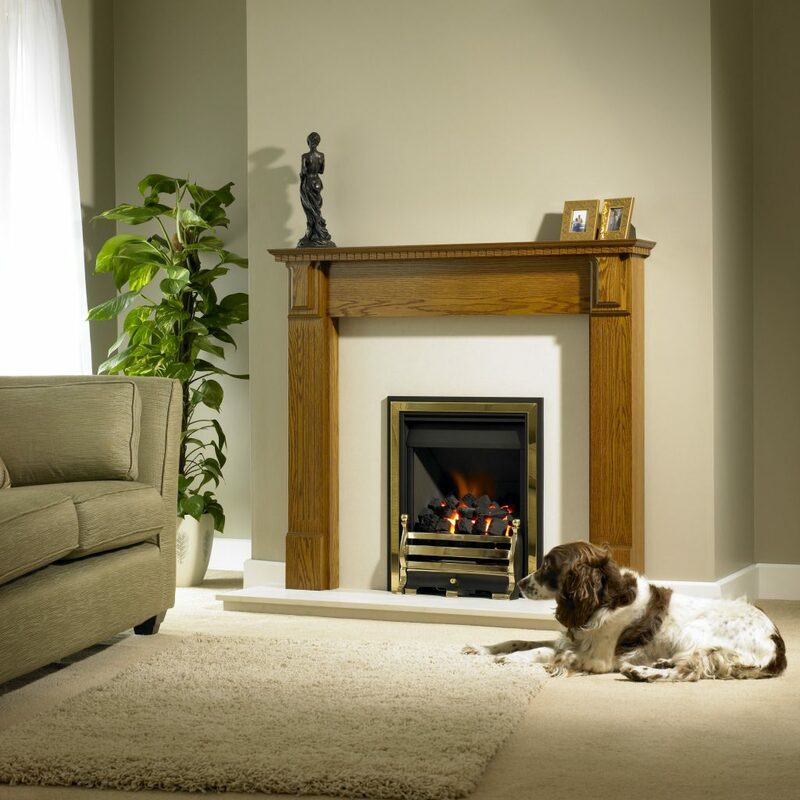 The Keswick Suite is shown in a Washed Oak Finish. 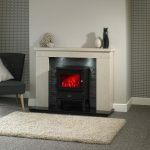 Also shown is the Grey Split Slate Chamber with Black Granite Hearth and Glendale Electric Stove. The Kingsbury is shown in Cherry Patina with matching mirror. 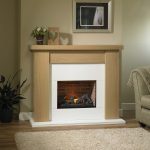 Also shown is the Trent HiLine HE Gas Fire with Brass Base Trim and Brass Grace Fire Front, shown with Bianca Beige back panel and Boxed Flush Hearth. The Kirk Fire Surround is shown in a Natural Oak Finish. 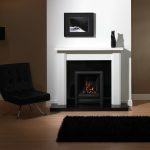 Depicted with the Trent HiLine HE Gas Fire with a Brushed Steel Base Trim, Black Outer Trim and Black/Brushed Elan Fire front. 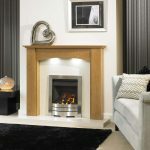 The Kirk Electric Suite is shown finished in Clear Oak. 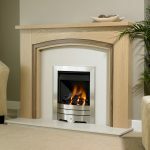 Also shown is the Oyster Split Slate Chamber, Bianca Beige Hearth and the Evoke Dynamic Electric Fire with a Brushed Steel Contemporary Trim. 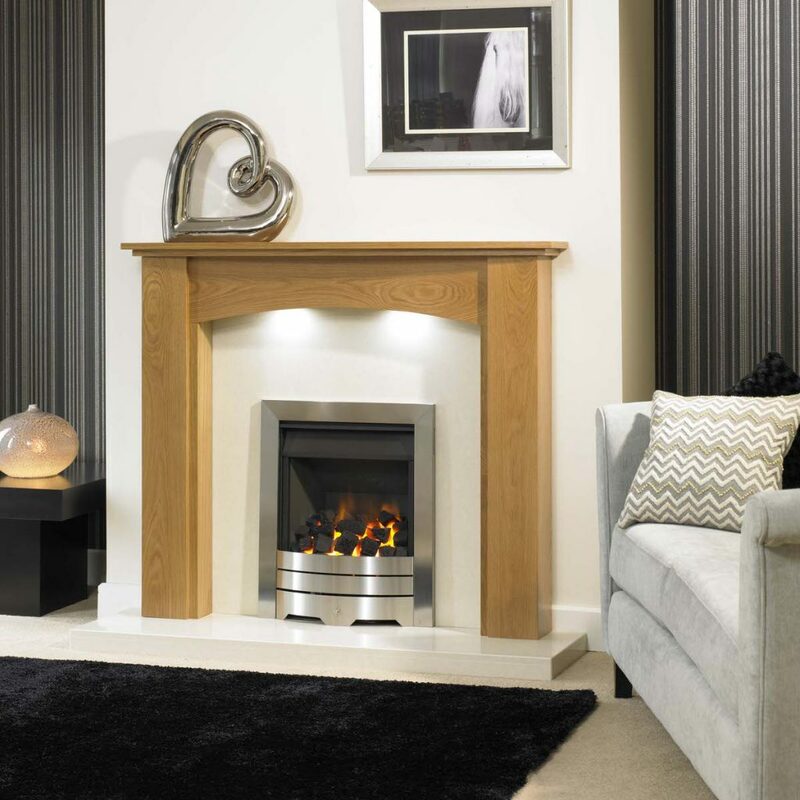 The Louth is shown in the Light Oak finish. Also shown is the Trent HiLine HE Gas Fire with Black Base Trim, Brass Duo Trim and Black/Brass Daisy Fire front. 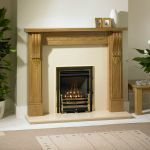 The Melbourne Surround is shown in Light Oak Patina. 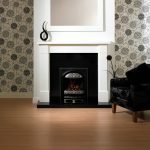 The Patina finished is used to give the appearance of ageing and can be used on other finishes on request. 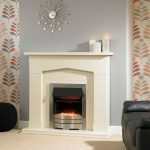 The Melbourne also features a specially designed Bianca Beige Marble Back Panel engineered to mimic the design of the Melbourne. 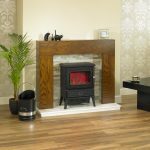 This panel comes with matching Boxed Flush Hearth and also shows the Trent HiLine HE Fire with Black Base Trim, Brass Outer Trim and Black/Brushed Brass Elan Fire Front. 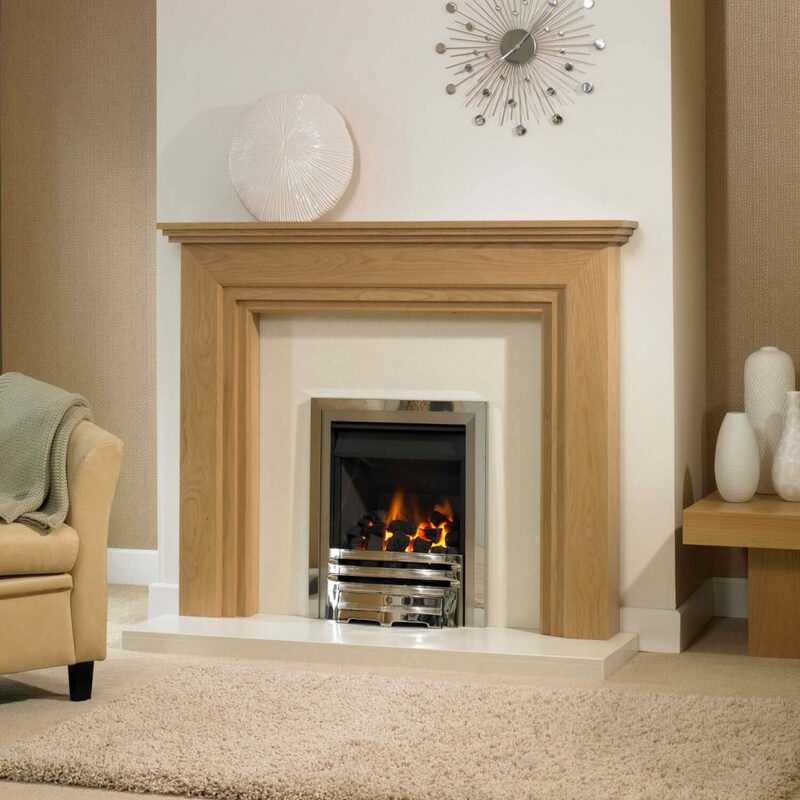 The Milan is shown in the Clear Oak Finish with Bianca Beige Marble Back panel and Boxed Flush Hearth. 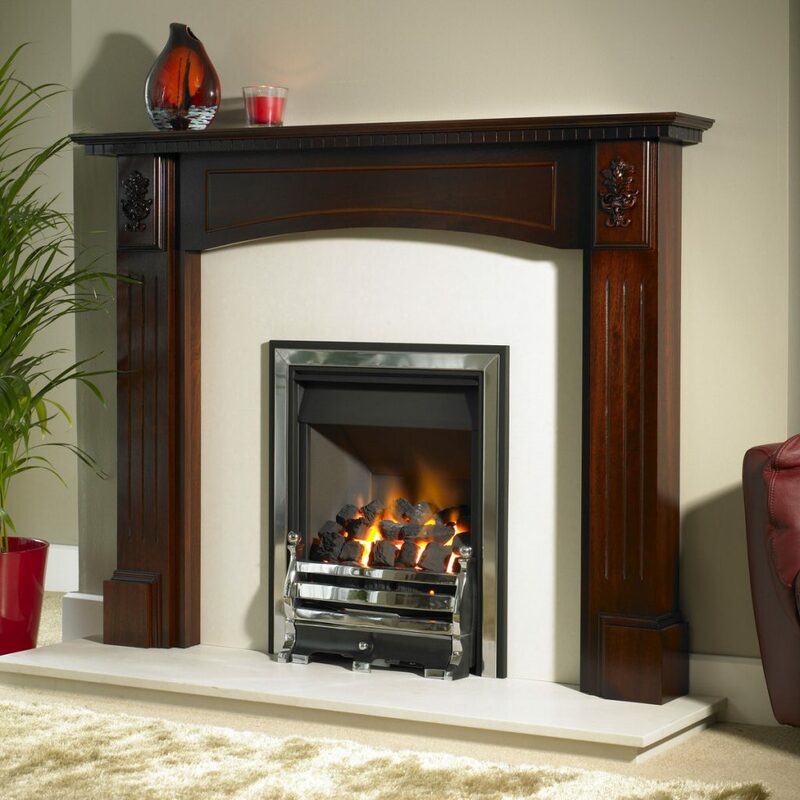 The Gas Fire is the Trent HiLine HE with Satin/Steel Profile Trim. 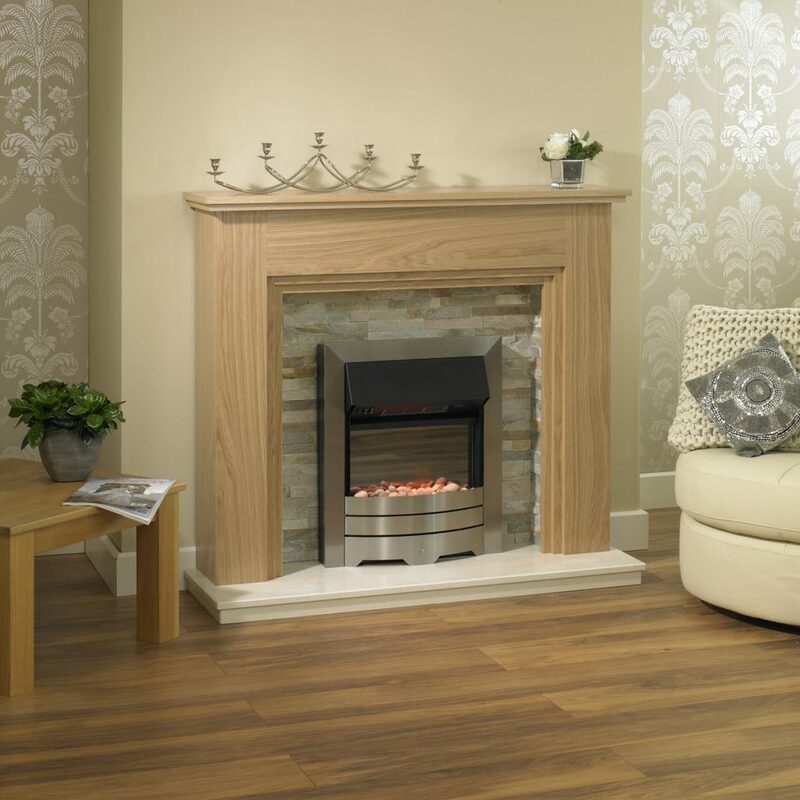 The Millbrook is shown in the Natural Oak Finish with the Trent Sintra Gas Fire with Driftwood. 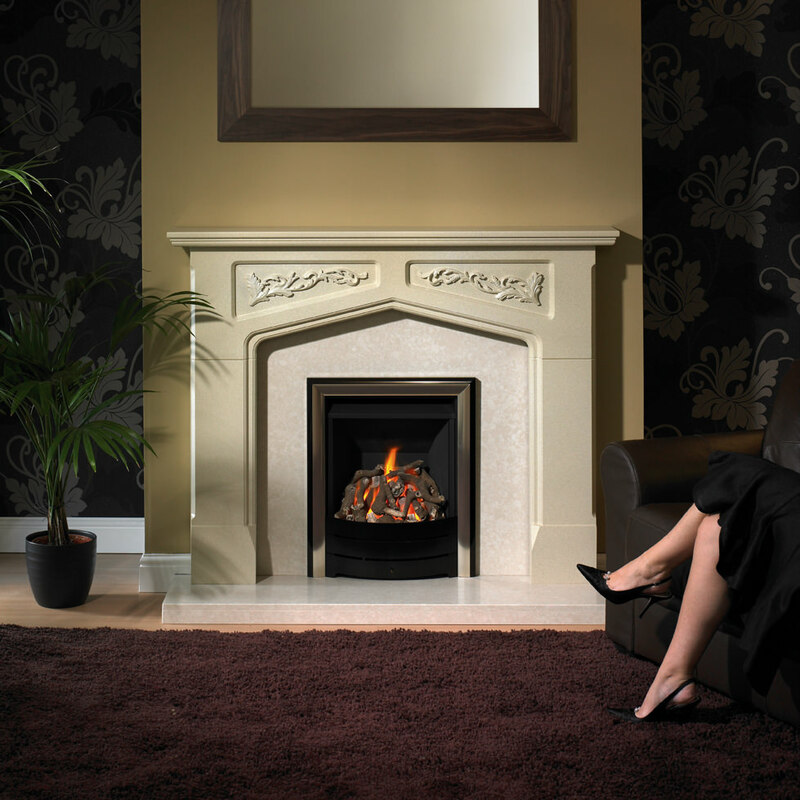 Shown with Bianca Beige Marble Back Panel and Boxed Flush Hearth. 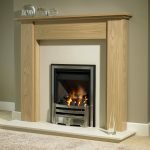 The Orwell Electric Suite has been finished in Light Oak. 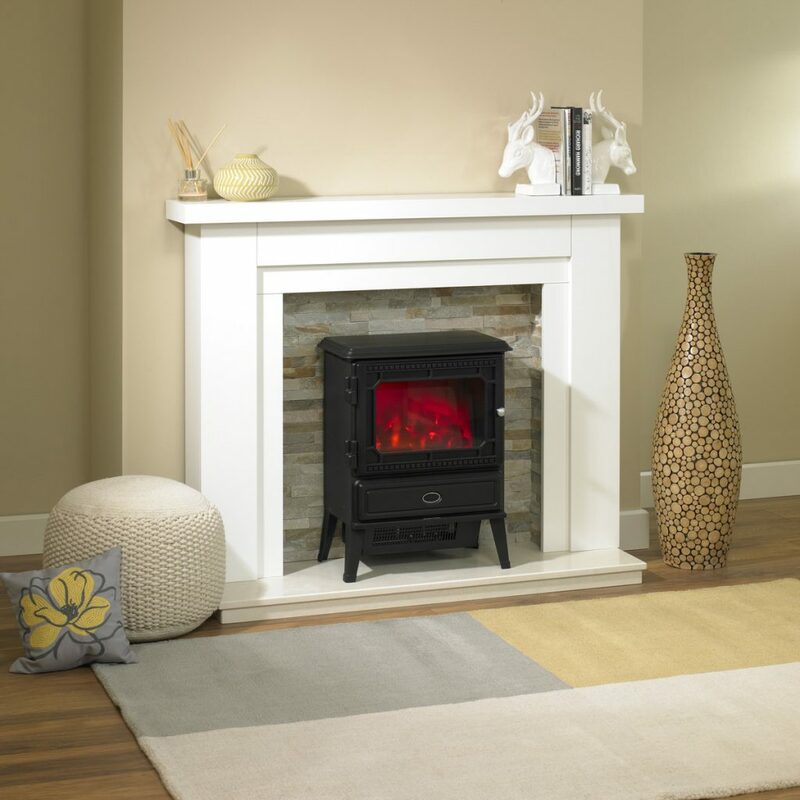 Shown with the Oyster Split Slate Chamber, Bianca Beige Hearth and the Glendale Electric Stove. 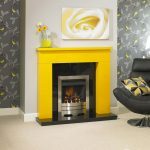 To demonstrate that Trent Fireplaces can finish your chosen Fire Surround in ANY colour the Othello has been finished in a striking Sunrise Yellow. 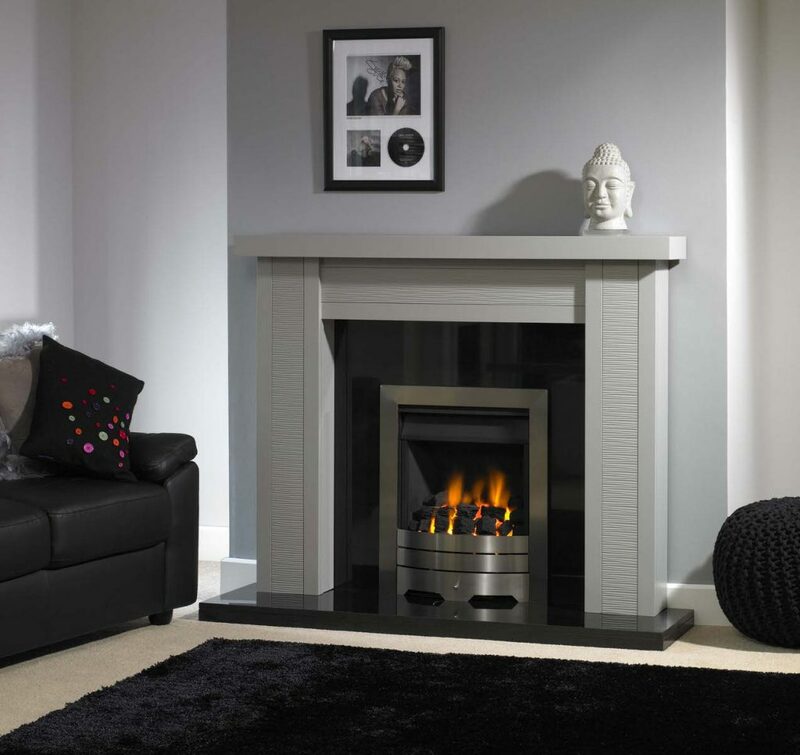 Shown with a black granite back and hearth and the Trent HiLine HE Gas Fire with a Contemporary Brushed Steel Fascia. 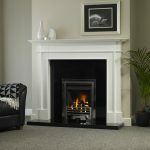 The Ruffle Electric Suite is shown in the Grey Blush Finish with Grey Split Slate Chamber and Black Granite Boxed Lipped Hearth. 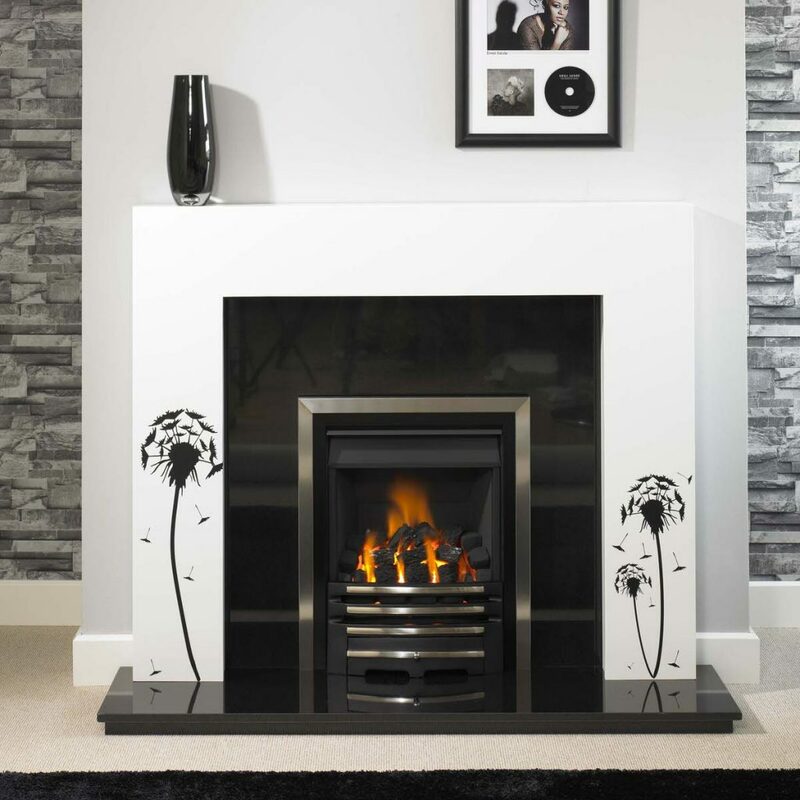 Shown with the Colorado Electric Fire With Brushed Steel Trim and Black Two Tone Fire Front. 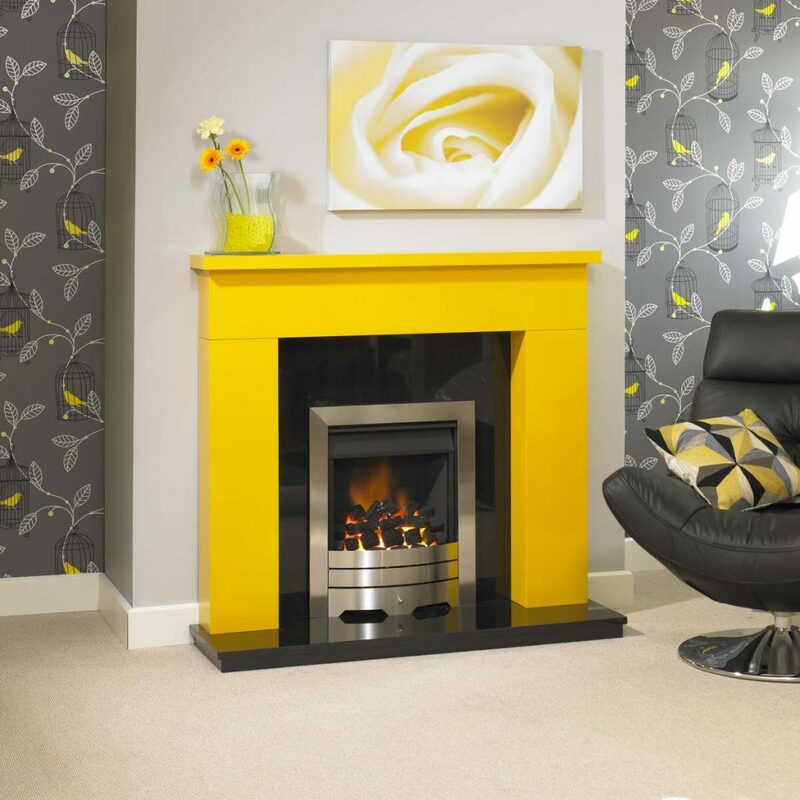 Note: The Chamber can be fitted with down lights on request. 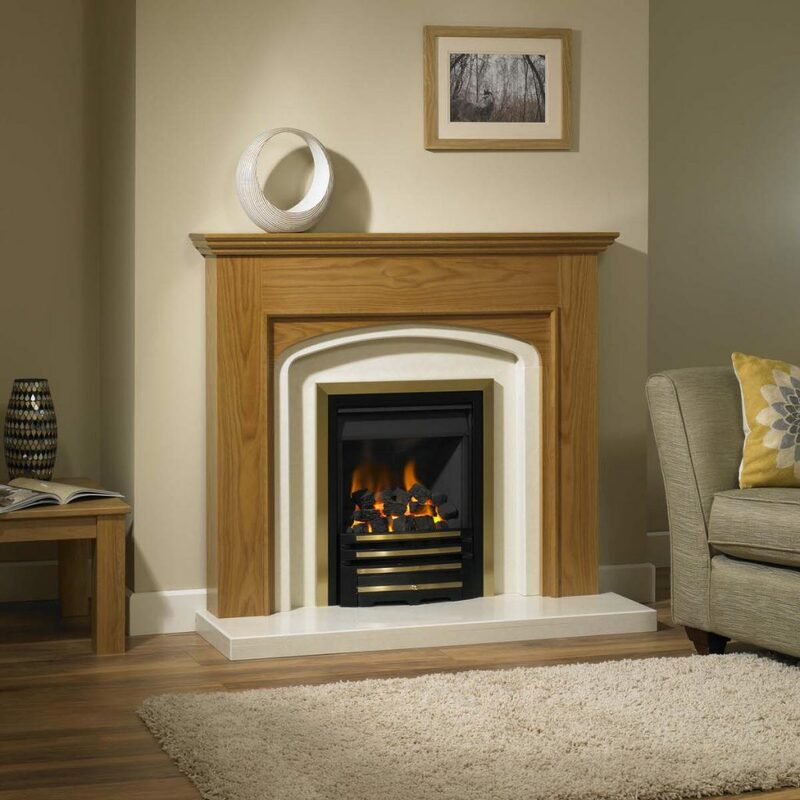 The Seville Fire Surround is shown finished in Natural Oak. 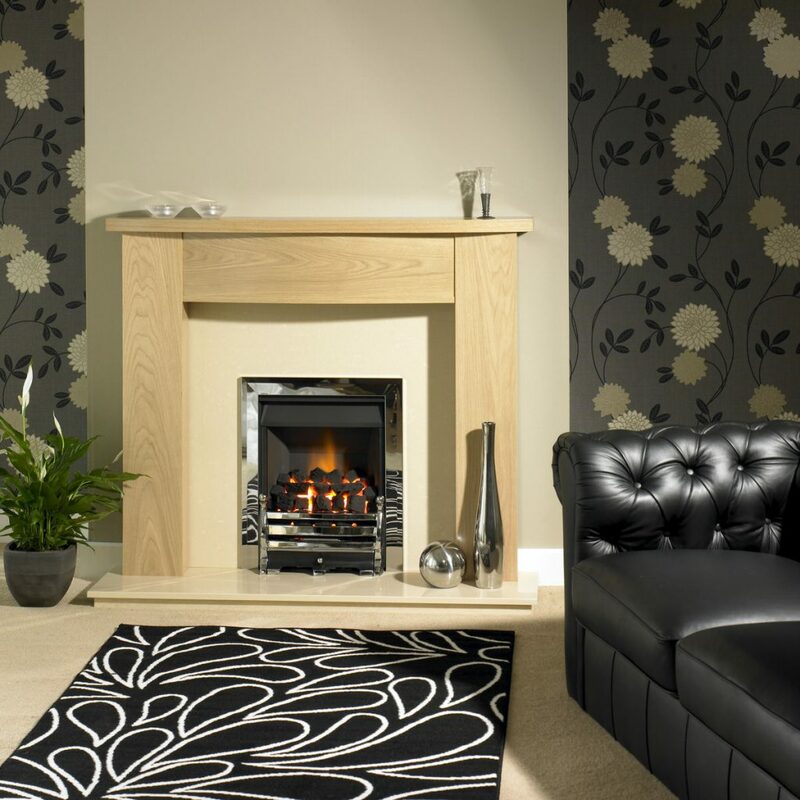 The gas fire shown is the Trent XHE (glass fronted) with a Brass base trim, Black Duo Trim and Black/Brass Daisy Fire front. 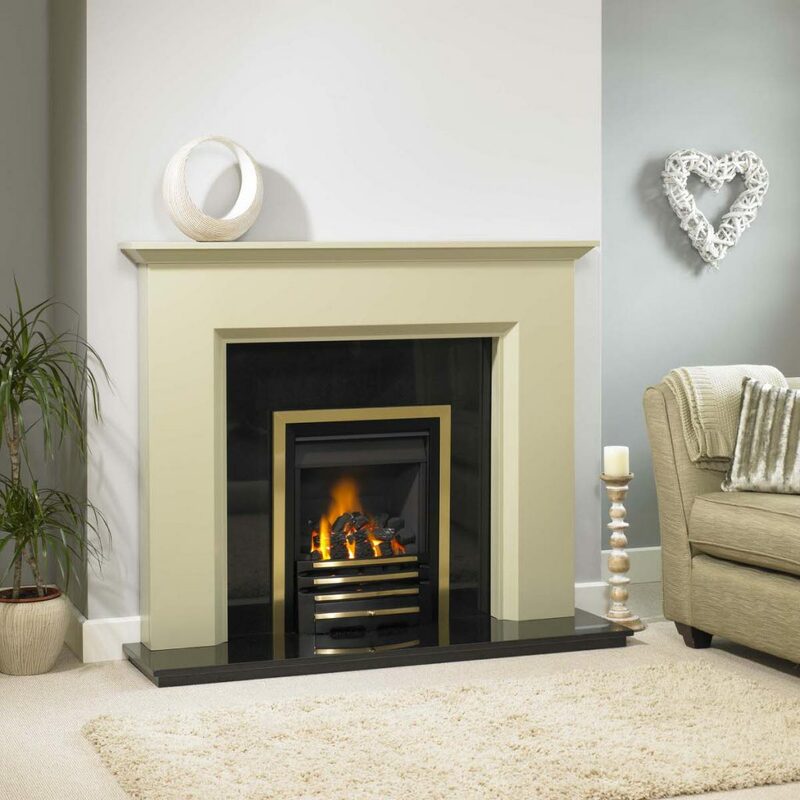 The Siena 42" is a fire surround specially designed for smaller spaces. Shown in a Light Oak Finish with Bianca Beige back panel and Boxed Lip Hearth. 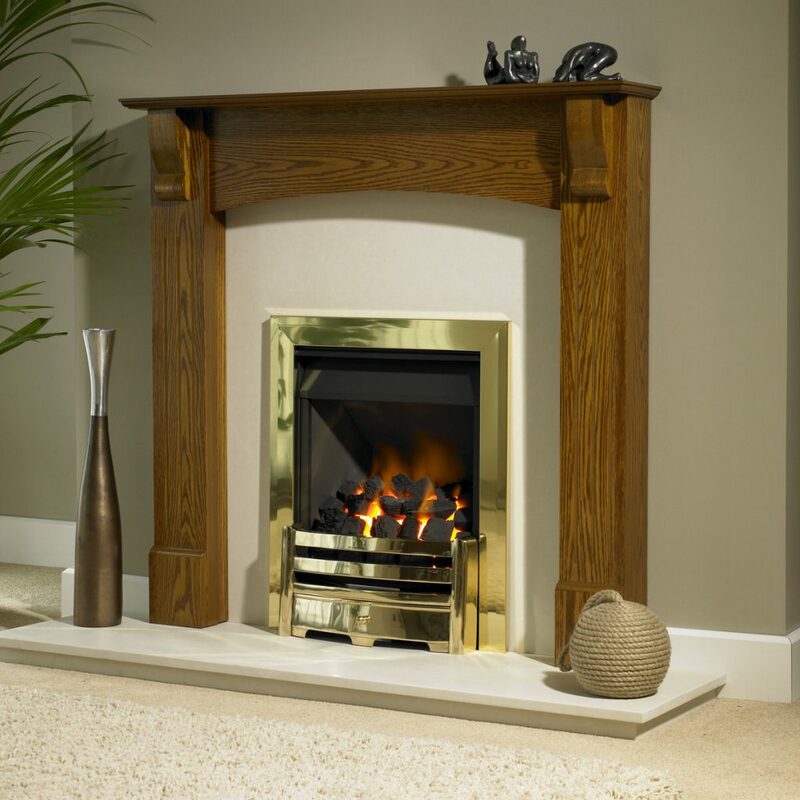 Also shown is the Trent HiLine HE Gas Fire with Brass Base Trim and Brass Aviva Fire Front. 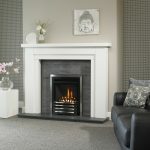 The Square is shown in a White finish. We have used this design to show what is possible if you want to add your own design flair. 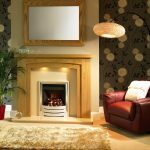 The Surround shows the addition of Vinyl wall art to give it a totally unique look. It is set up with Black Granite Back Panel and Boxed Lipped Hearth. 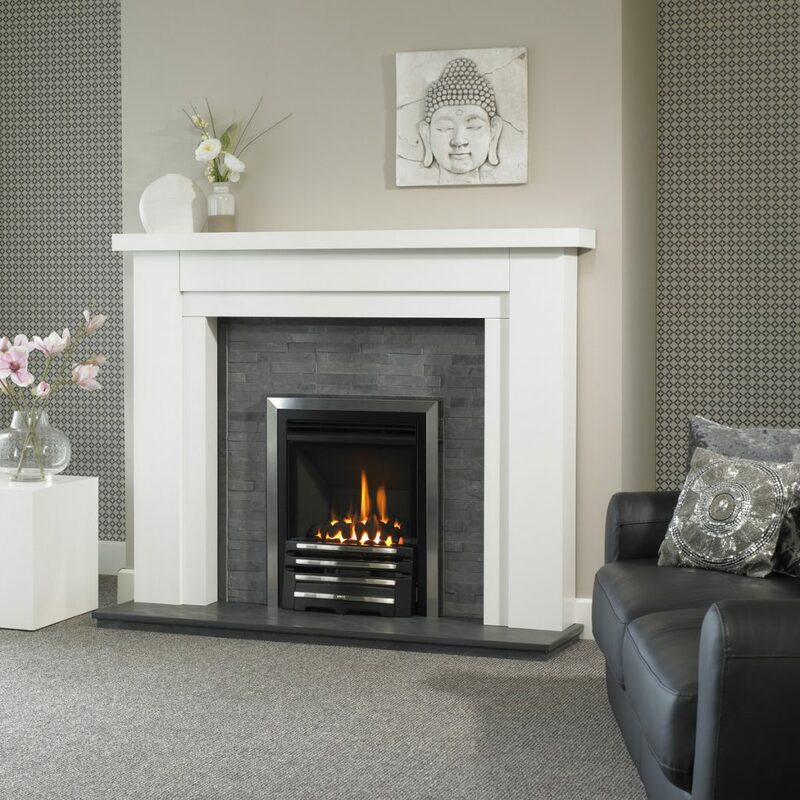 The Gas Fire is the Trent HiLine HE with Black Base Trim, Brushed Steel Outer Trim and Black/Brushed Elan Fire Front. 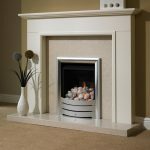 The Zodiac Fire Surround has been finished in Silkstone White, matching beautifully with the Polar White Marble back panel and hearth. The Gas Fire shown is the Trent HiLine HE with Black Base trim, Brushed Steel Duo Trim and Satin Aviva Fire front.